PARIS — Swiss conductor Charles Dutoit, who has faced multiple accusations of sexual assault, will conduct a concert for the National Orchestra of France on Sunday, his highest profile performance since the allegations were first revealed by The Associated Press. The orchestra said in a statement Wednesday to The Associated Press that Dutoit was chosen to conduct Berlioz' "The Damnation of Faust" at the Paris Philharmonie because he was the only conductor with the necessary skills available at short notice after scheduled conductor Emmanuel Krivine pulled out last week for medical reasons. Dutoit is a Berlioz specialist. The orchestra would not comment on the assault allegations, but said the decision to hire him was discussed with the musicians performing Sunday. The Philharmonie wouldn't comment, saying it was the National Orchestra of France that decided to hire him. One of his accusers, retired French soprano Anne-Sophie Schmidt, said she was shocked by the orchestra's decision and lamented the "powerful and catastrophic message" it sends to victims of assault. "This is shameful. I feel sick to my stomach," said Schmidt, when contacted by the AP. "This means the people who were abused by this evil man don't count for anything." Swiss-born Dutoit has denied the allegations against him, saying they are "as shocking to me as they are to my friends and colleagues." 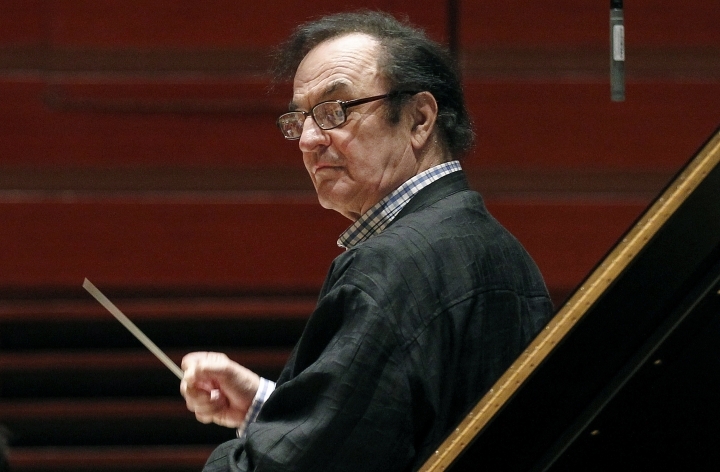 Schmidt said that Dutoit pushed her against a wall, groped her and forcibly kissed her in 1995 while she was performing an opera with the Orchestre Nationale de France in Paris. Shortly after the opera's run ended, she said Dutoit dropped her from upcoming performances he had scheduled with her. Dutoit stepped down as artistic director and principal conductor at Britain's Royal Philharmonic Orchestra following the allegations, and several major U.S. orchestras severed ties with him as a result. Dutoit has since found a new job in Russia, where the St. Petersburg Philharmonic Orchestra said last year it had hired him as its new principal guest conductor. He is scheduled to start in May. France has had a tortured response to the #MeToo movement. While powerful men in the U.S. and elsewhere saw their careers end because of accusations of sexual harassment or abuse, the reaction in France was more muted. While French feminists hoped for a long-awaited reckoning of long-ignored sexual misconduct, some prominent French voices argued that the wave of exposure went too far and was threatening women's sexual freedoms. Associated Press writer Jocelyn Gecker contributed reporting from San Francisco.